In January, the California Public Utilities Commission (CPUC) approved the closure of the nuclear power plant but rejected a proposed settlement in which PG&E would dole out $85 million to local government agencies as compensation for lost tax revenue. The CPUC decision upheld a ruling against the settlement by Peter V. Allen, an administrative law judge who said the compensation package hinged on a PG&E rate hike which would require ratepayers to pay for services that are funded by taxpayers. Central Coast lawmakers Sen. Bill Monning (D-Carmel) and Assemblyman Jordan Cunningham (R-San Luis Obispo) responded to the CPUC decision by co-authoring SB 1090. The bill, which Brown has now signed into law, amends the Public Utilities Act and requires the CPUC to approve the $85 million settlement. Additionally, the legislation requires the CPUC to approve a $350 million PG&E employee retention plan, as initially written into the settlement agreement. The CPUC had approved a smaller employee retention package of $222 million. PG&E spokesman Blair Jones previously said the bill would result in an increase of about .2 percent to the average customer’s monthly bill. The increase would be removed from rates in 2026, Jones said. After the governor signed SB 1090 into law, both Monning and Cunningham released statements applauding the move. Cuningham said the governor’s signature on the bill is a major victory for the Central Coast. Separately, in Washington, D.C., lawmakers have approved a bill with a clause directing the federal Department of Energy to study potential public and private funding sources for municipalities affected by the decommissioning of nuclear power plants. President Donald Trump is expected to sign the legislation. Did they set aside enough cash to decommission the plant? Probably not! PUC/Private power = bend over. I wonder if people who are completely independent of centralized power distribution (solar) will be paying for all the Diablo leftovers in 20 years. And then Atlas Shrugged and sighed “Oh well”. Just wondering how all of you can charge you device to put your lips on this thread? Do you think your lights would be on right now because of the Sun? I hope these two clowns just committed political suicide. Cunningham a sociocrats in republican clothing. All the low information R’s just put their stamp of approval on this guy. I just can’t wrap my head around this, first, we make them close their power plant, second, we make them pay us millions and millions of dollars because their power plant is closing, and we will lose the money they used to pay us when their power plant was open. Weird. This may set a dangerous precedence which may be a factor for any sizeable employer to move into any community that it will help support. Who would of thought that factoring this level of exit costs will now be law. This slippery slope is the mindset of government who typically exit their jobs with 80% or more, in some cases, of their salary. I was thinking the same thing, Jorge. Do businesses now have to negotiate an “exit” tax or a “going out of business” tax? What’s to stop someone from collecting a small to large amount of money from any business that closes its doors? I am no expert on this, but the discussion on WHO PAYS or whether or not additional expenses will be passed on the the ratepayers, is kind of a BS discussion. The government Public Utilities Commission (PUC) control exactly how much profit etc that a Utility will be able to make. If a utility doles out too much in expenses then the PUC will approve higher rates to be able to make a certain profit. So, in all cases the rates will increase to cover those expenses no matter how the increased expenses are incurred. Its a game of words. This isa government back door approach to collect more money from the taxpayer’s. This will be rate increase that will pay for this allowing PG&E to look like they are the good guys as we just keep getting robbed to support government and monoploiy’s. The title should be “Gov. 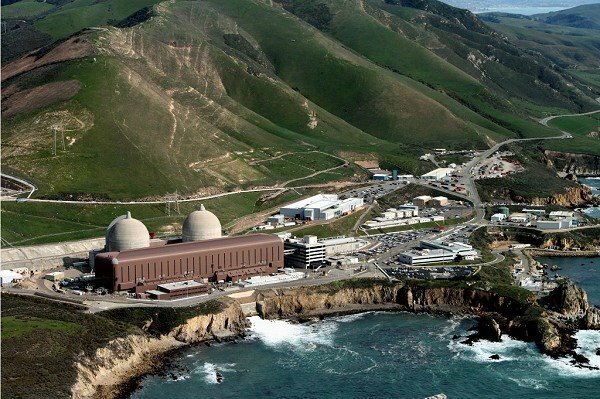 Jerry Brown signs bill that requires ratepayers to again bailout the leaders who failed to plan for the known closure of Diablo Canyon”. Remember it’s not just our electric bills that will be going up but any electric bill that the taxpayers pay for, such as any city’s electric bills, county’s electric bills, fire and police departments, parks, and so on and so on. Plus remember Sen. Bill Monning and Assemblyman Jordan Cunningham come election time. Clearly two officials who have no problem raising our taxes, fees, and costs.